The leader of a security team in the central city of Hue found a satchel packed with nearly US$1780 in cash on Wednesday and immediately mobilized his entire squad to help find the owner. Vo Le Nhat, director of the Hue Monuments Conservation Center, confirmed the story the same day. Huynh Ngoc Anh, leader of a security team stationed at the Hue Citadel historical relics, came across a shoulder bag left on the path to the site’s main gate while patrolling the area on Wednesday morning and immediately reported it to police officers so that its contents could be searched. 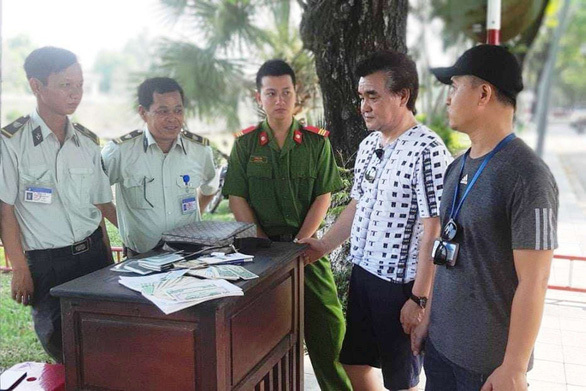 Upon finding VND41 million (US$1780) in cash, some credit cards, a South Korean passport, and other valuables inside, Anh mobilized his whole squad to find the owner before he left Hue. Using the name on the passport, the team was able to locate South Korean man Kim Seong Ki and return the lost assets to their owner. Kim expressed his gratitude to the security personnel of the Hue Monuments Conservation Center, sharing that he panicked the moment he realized he had lost his bag and the important items inside. “This is a beautiful action that carries a lot of meaning,” he said with delight.